One of the most sensitive tasks you’ll have to take on when fishing is reeling in your catch. If this isn’t done correctly, you can easily lose the fish you worked so hard to snag in the first place. Reeling in a fish is a skill that takes time to learn, but by reviewing tips and tricks on the proper procedures, you can quickly figure out how to successfully reel in your next line appropriately. The experts at FishingLicense.org are dedicated to educating all fishermen on the proper techniques to reeling in a fish safely and securely. Here are a few things to keep in mind the next time you have a bite and are ready to start reeling. Getting a feel for the pressure you should assert on the line is something that will come with time. It’s not always easy for experienced fishermen to explain how to obtain the perfect amount of pressure on the line, so those new to the sport will need to simply figure it out by trial and error. The experts at FishingLicense.org generally recommend you never have so much slack on the line that you can see it starting to curve. Keeping tension on the line prevents the fish from throwing a hook or getting the upper hand before you even start reeling the line in. To keep this pressure on your line, you’ll need to keep the tip of the pole facing upward and never down toward the water. It’s also important to pay attention to how you keep your pressure. A smooth resistance is best to keep you in control of the line. If you’re jerking to keep up and gain more pressure on the line, it’s more likely that the fish will take control. The team at FishingLicense.org recommends never fighting a fish who tries to run. A running fish who puts up a fight with you can easily snap your line and be gone forever. To avoid losing your catch due to a broken line, let your fish run a bit. If you choke up on a fish who’s attempting to run, he or she can start to violently shake your line, and it’s more likely that a hook will be swallowed. Stay in control of the line and keep your pressure, but give the fish a chance to move freely, while gradually getting it closer to your location. If you stick with it and let the fish run a bit, but also keep it heading towards you, you’ll start to see that running slow down. Your fish will get weaker and start to tire out, giving you the perfect opportunity to more aggressively pursue a reel in. The way you reel in your fish will also depend on whether it stays on the line, swallows the hook or gets away altogether. The pattern of reeling in a fish is to pull up and down on the rod, and reel a bit at a time during that downward motion. It can take a bit of practice to conquer this technique, but once you have it, you’ll be a master at reeling in. 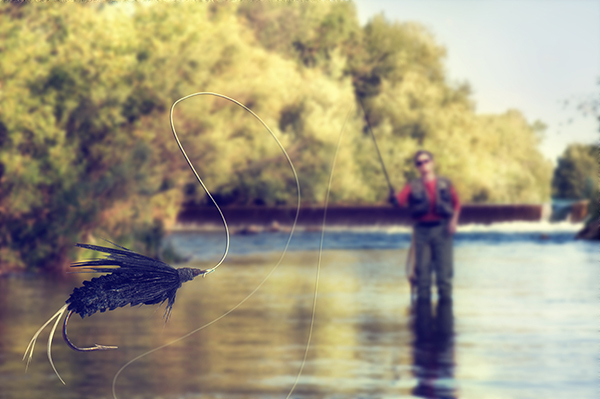 The team at FishingLicense.org suggests giving it a few practice runs with a heavy lure instead of a fish, so you know you’re ready for the real thing. You should also perfect this motion enough that it stays nice and smooth, never jerking or sudden. Another thing to factor in when reeling in your catch is what’s around you. Guiding a fish toward you, whether on a boat or on the shore, requires a bit of maneuvering. You want to avoid any mangroves or debris in the water. You also want to stop a fish from swimming underneath the boat or dock, since that makes it much harder to reel him in. Check out your surroundings and possible spots to avoid reeling into, way before you even snag your first catch of the day.